It’s the EVG Research Team. 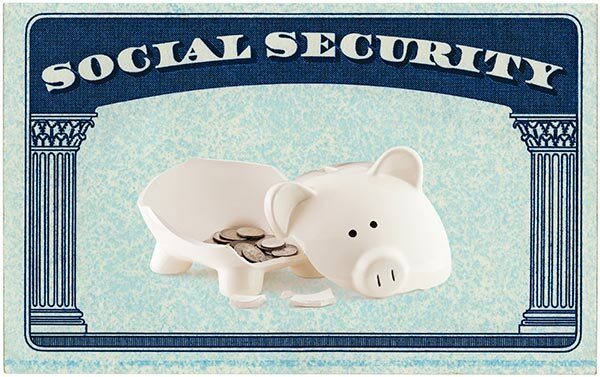 As you know, the United States social security system is in a lot of trouble these days. The Social Security Disability Fund is already broke. And as things stand, the main fund will completely run out of money by 2034. This only means further cuts for retirees. In fact, as a result of the new government regulations on claiming social security that went into effect this year on May 1st, some people had their benefits slashed by over $60,000. To be “friends” with someone who’s dead. See, the Inspector General for the Social Security Administration recently did an in-depth audit. And what they found was shocking. At least 1,546 dead people are still receiving benefits. Several people are even collecting checks despite being dead for over 20 years! All told, the US government has handed out over $30.96 million in recent years to people who are no longer living. But here’s the even more insane part of this story. All these “zombie beneficiaries” are people who are actually classified as dead… by the Social Security Administration itself. In other words, the government KNOWS these people are dead, and STILL mails them checks. With this kind of “management”, it’s no wonder the social security fund is less than 20 years from being insolvent. I don’t know about you, but I sure don’t want to put the fate of my “golden years” in the hands of the government. We know that the rich DO NOT count on the whims of the government for their retirement income. Instead, they create assets that produce cash-flow month after month for the rest of their lives. In fact, most of the wealthy even end up getting richer after they “retire”. I one of EVGs lessons, Why Saving For Retirement is Planning for Bankruptcy, we discover how to break the government’s (and Wall Street’s) stranglehold on your retirement… and take back full control over your financial future. We also discuss what you can do today to ensure you have a guaranteed income… for life. PS: Who knows? Maybe you’re one of those folks who are able to hack the broken system and collect “passive income” by claiming a deceased relative’s social security check. But if not, click HERE to become a member of The Elevation Group. The $2.7 Trillion Social Security Hoax The Great Social Security Hoax: Part 2 Sequestration Outrage… Could This Give Obama the Election?